The Rundown: An American Indie band from New Orleans, Louisiana, USA, the Generationals are made up of Grant Widmer and Ted Joyner. 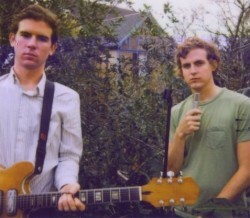 Formed in 2008, the Generationals have released two studio albums – Con Law (2009) and Actor-Caster (2011) – and have had their music used in various television shows, movies, and commercials including Reese’s Peanut Butter Cups, Bloomingdales, the television show Chuck, and the movies Hall Pass and Going the Distance. Some of my favorite songs include Yours Forever, It Keeps You Up, Nobody Could Change Your Mind, and Carrying the Torch. The Generationals are amazing because with some of their music, like, When They Fight They Fight, it’s hard to tell what decade the song was made in. This band sounds like a mix of new and old, in a completely unique way. Raninging from 50s to Indie of today, the Generationals have a fantastic sound and make amazing music that MarsBands.com highly recommends.